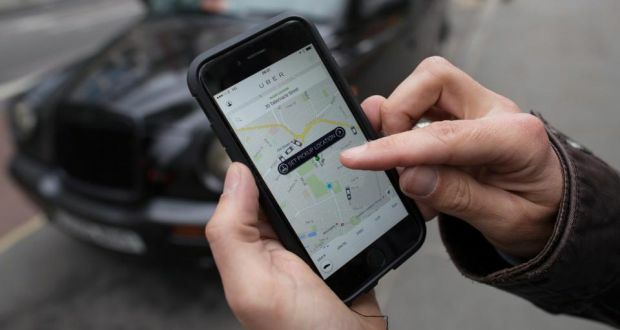 Uber is the world’s largest car service and most valuable start-up in the world. It owns no cars and directly employs no drivers - yet the company was recently valued by investors at $66bn. 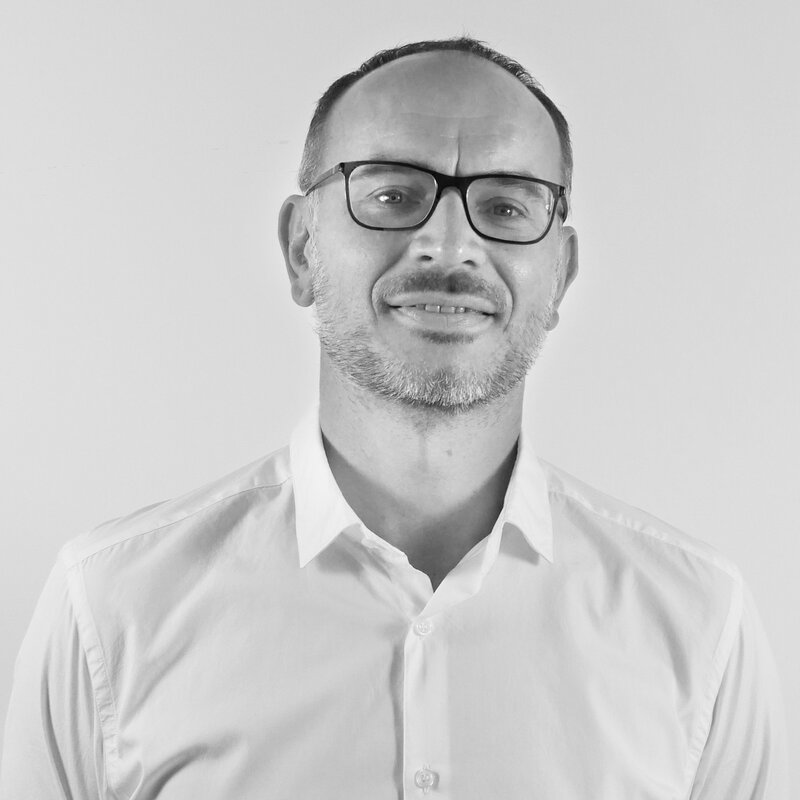 From a standing start in 2009, the company in seven years has gone on to offer their service to more than 440 cities across six continents, including 20+ cities here in the UK. Despite being sued dozens of times by local governments, and being embroiled in over 70 conflicts worldwide for Uber's taxi drivers not having the required licenses many cities ask for - the company has gone from strength-to-strength. But how have they achieved so much business growth over the past seven years? The news stories, good or bad, have helped to boost awareness of the company, and their intellectual property in the form of an app and technology platform have helped too. But it is an intangible asset that has got them such prolific business growth - their brand. 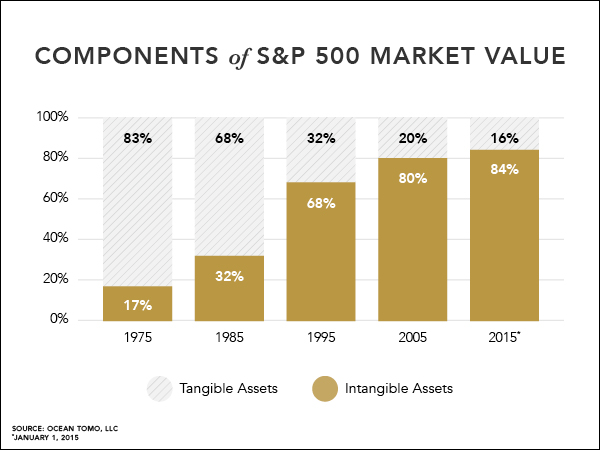 Today, a business' most valuable assets aren't those listed on a balance sheet; it's the intangible assets, such as brand, human capital, and customer relationships that count towards a company's valuation. This growing importance of brand was highlighted by intellectual property experts, Ocean Tomo who found that intangible assets now account for 84% of the market value of companies on the S&P 500 Index. Almost a five-fold increase compared to forty years ago. But investing in your brand to bring business growth isn't the simple answer. Beyond your logo, colour scheme, and tone of voice that makes your brand 'unique', is something far more important - your reputation. Research commissioned by Oracle and completed by the Chartered Institute for Management Accountants (CIMA) looked into the key value drivers held by companies. 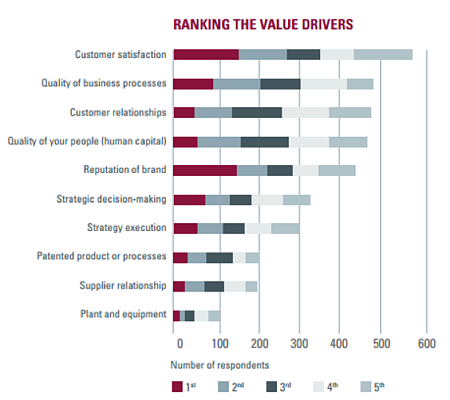 Of the 744 respondents, 76% ranked customer satisfaction as the most important value driver in their business today. Following the findings, Oracle realised the importance of customer satisfaction by encouraging businesses to put the needs of their customers at the core of their business and objectives. "To counter the threat of commoditisation, organisations need to show the market how they are different. The customer should be at the centre of what the business does digitally." Uber's app allows the customer to access GPS tracking to monitor the exact location of their taxi, and an accurate timing of when it will arrive. Uber's app allows you to make payments through a credit or debit card assigned to the customer's phone. This has banished the embarrassment of customer's who haven't got enough physical money on them to pay for the fair, and awkward moments when the driver hasn't got enough change to give the customer. As well as giving estimates of route cost on the app, Uber's pricing model is simple. Customers are charged per mile over 11mph, and per minute under 11mph to factor in the time spent in busy cities. As well as clear pricing, Uber releases frequent offers and coupons to encourage more custom. Speaking in an interview with Mental Floss, an Uber driver from the USA, spoke about the inner-workings of being a freelance taxi driver through Uber. 'Barrett' revealed that all drivers must go through a rigorous examination of their car, which has to be younger than ten-years-old, to ensure high quality. The article even unveiled how some drivers tailor their choice of radio station to accommodate their next customer, and, there's even functionality in some cars to stream your own music. The result of putting their customer at the heart of their business has been astonishing. As well as a high company valuation, it is now clear that Uber is fast becoming the preferred option for the most cynical of customers - business executives. 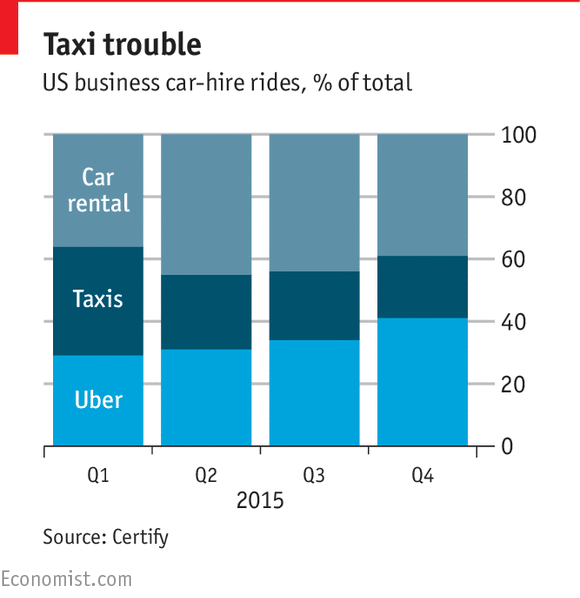 Analysis done by Certify and published by The Economist in 2016, found that within 12 months, Uber has gone from having the lowest share of "ground transportation" (25%) for business car rides in the US, to having the highest share (41%) compared with taxis and car rental firms. Proof of Uber's meteoric success. Uber, of course, isn't without its problems. As Jeffrey Pfeffer wrote on Fortune website, without clear management of their freelance drivers around the world, it means that Uber executives rely on customer ratings to judge their driver's ability - which can sway from the excellent to the terrible, depending on the customer's mood. It doesn't, however, detract from the solution that Uber has offered to appease the challenges customers normally face with taxi firms and car rental companies. Technology has put consumers, and B2B buyers, in the driving seat of the research and purchasing process. At their disposal, they have more choice, coupled with the ability to make better-informed decisions through unlimited access to information, and can source credibility via reviews and social proof. With this in mind, and through the success that companies such as Uber are having in the current climate, companies wanting business growth need to concentrate on building a brand on reputation and thinking of the customer first.